Changing the World takes planning. 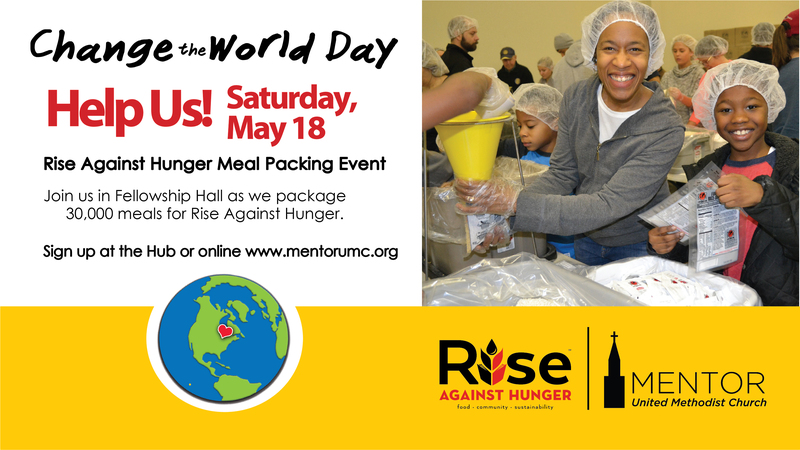 We are planning to pack 30,000 meals on Saturday May 18 in 2 sessions. The first session will be 8-10 AM and the second from 10:30 AM-12:30 PM. There are openings for 60-65 people in each session. We will also need some help setting up on May 17, 7 to 8:30 PM and cleaning up on May 18, 12:30 to 1:30 PM. Changing the World is fun. Sign up online by clicking HERE, at the Information Hub on April 28 or May 5, or on the church app. Sign up with your family or friends and make it a fun time! The 5k race sign up will be at this LINK. See the flyer below for more information. Changing the World takes resources. There are opportunities for everyone to be involved in this mission. In order to purchase the supplies for the meal and to distribute them we will need to raise $10,000 for this event. It costs $.29 per meal. Will you and your family decide to set aside a specific amount per meal or per day and donate those funds toward the Change the World mission this year? Changing the World is possible. 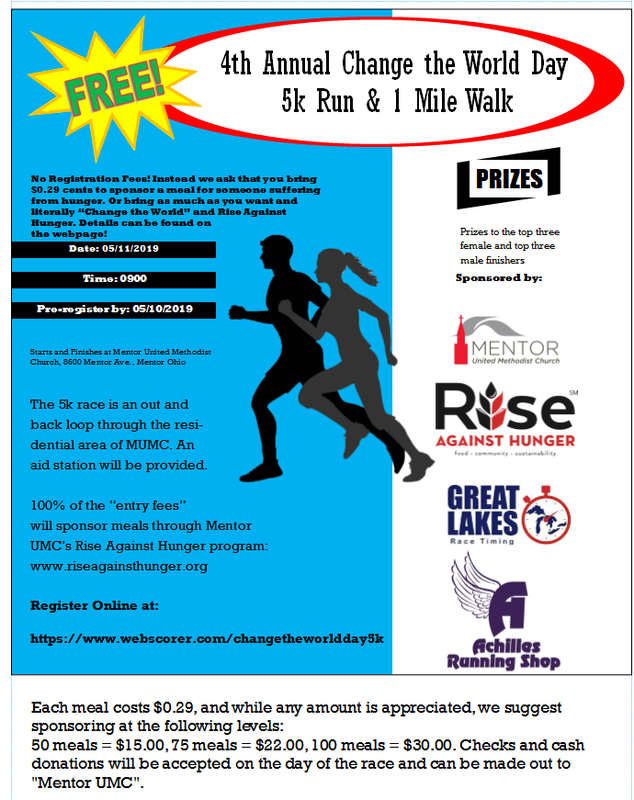 Rise Against Hunger is a ministry that has the vision to relieve world hunger by 2030. That means 815 million people currently facing hunger reduced to 0 in 12 years. Check out http://www.riseagainsthunger.org/to learn more about the mission.